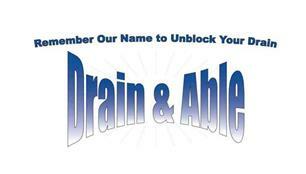 Drain & Able - Drain/Sewer Clearance based in Reading, Berkshire. Invoice history based on 713 reviews. No nonsense approach with an honest appraisal of any drainage problem. Fully accredited with SAFEContractor & Constructionline meeting & adhering to Health and Safety standards. As well as offering drain cleaning and drain unblocking in Reading Berkshire, Tilehurst, Caversham, Pangbourne, Earley, Woodley, Pangbourne, Bracknell, Wokingham we offer our full range of drain services in Oxfordshire, Surrey, Wiltshire, North Hampshire and the whole of Berkshire. Please give us a call to discuss.